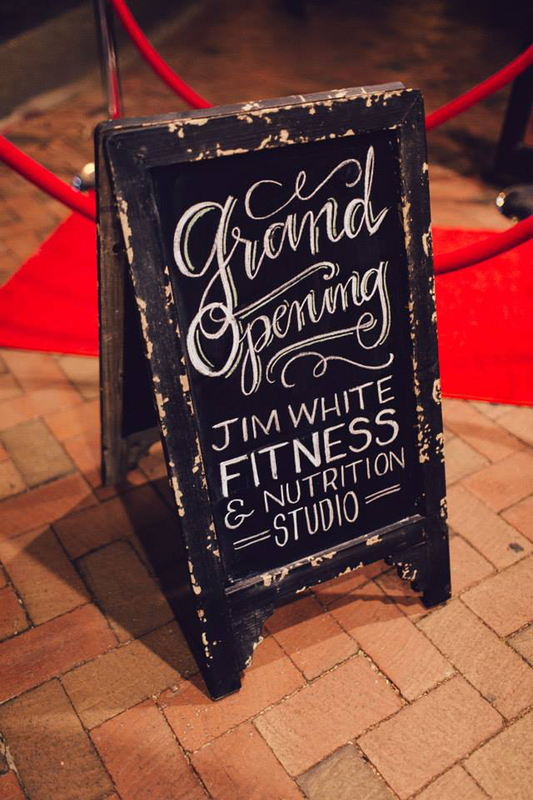 Jim White Fitness & Nutrition Studios opened a third location in downtown Norfolk, Virginia. 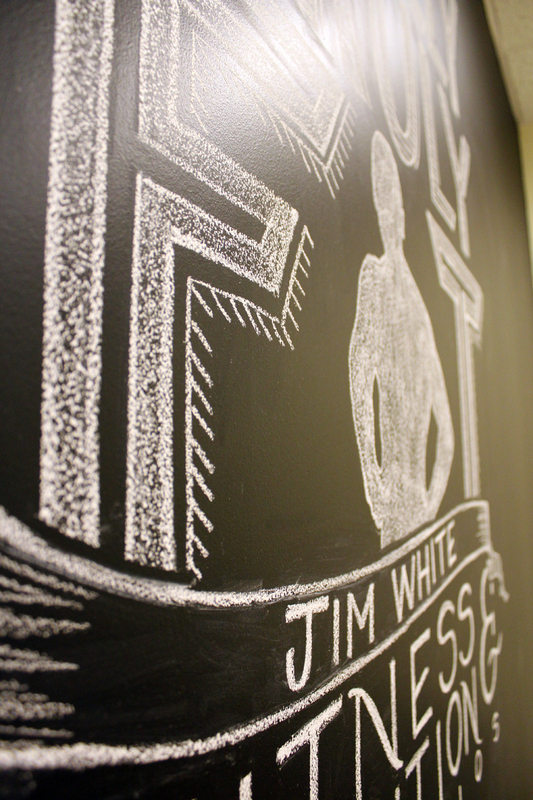 This new location has a consultation room with a chalkboard wall. 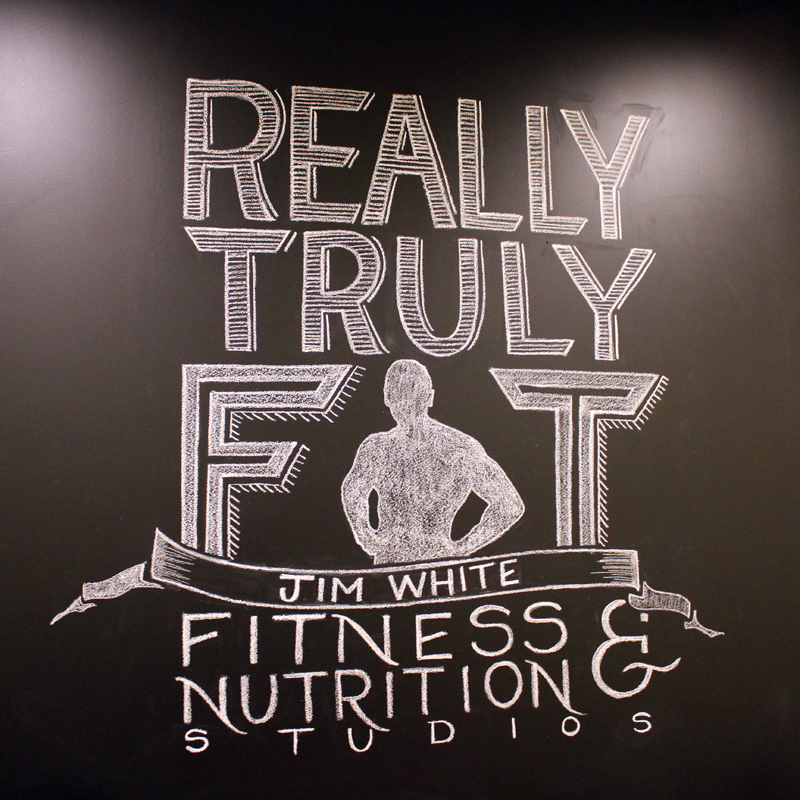 They asked us to create a design out of chalk for that wall. 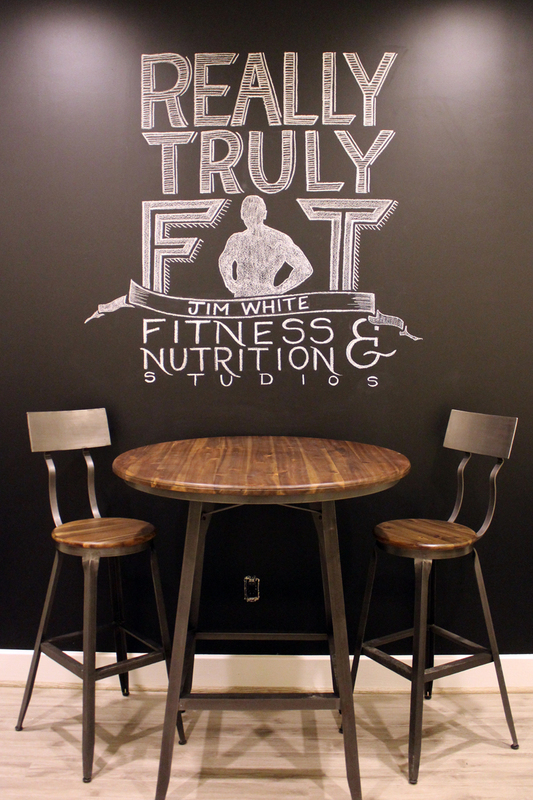 The design was centered on the wall and created with the idea that clients who visited this location could also write alongside the design.